Make your nights calm with The Celeste 7In Bonnel coil mattress featuring a tight top with 390(Q) Bonnell coil innersprings allowing for maximum durability. The 6.4In 11.3 gauge Bonnel coils provide an equal weight distribution relieving pressure points for a well-rounded and comfortable sleep. Its 100% Rayon barrier and 20D foam layer rest above the Bonnel coils offering the benefits of both foam and coil based mattresses. The Celeste 7In mattress comes compressed and rolled inside a wheeled carton for ultimate convenience and portability. The elegant Nova 8In Gel Memory Foam Mattress is built to provide decades of unparalleled rest and relaxation. The Pure by HeiQ covering envelopes the mattress to supply permanent anti-microbial protection and odor control, keeping it fresh while making it reversible. The reversible feature of this mattress doubles its lifespan and allows you to turn it over and enjoy two different levels of comfort on either side. This comfort and support comes from the durable 6In 1.56lb layer of polyurethane memory foam that takes on the shape of your body as it minimizes pressure on the shoulders and hips. Keeping you cool and fresh as you sleep is a 2In gel foam layer that soothingly cradles your body. With its 2 fire-resistant barriers and 10 year prorated warranty, the Nova 8In Gel Memory Foam Mattress promises you peace of mind while you sleep while guaranteeing product satisfaction for years to come. Add relaxation to your life with the Phoenix 10.5In Pocket Coil Mattress. The Phoenix 10.5In Mattress features foam encased 13 gauge 8In pocket coils for sturdiness and comfort. The individual pocket coil technology reduces motion transfer allowing minimizes sleep disturbances while you rest. The pillow top covered in a polyester fabric allows the mattress to conform to your body reducing pressure points in your neck and back while you sleep. The two 1.18In 22D foam layers in the center of the mattress allow for more padding giving your body more support while you sleep. The Phoenix 10.5In Pocket Coil Mattress also includes a Fire Retardant barrier that meets federal flammability standards for both safety and peace of mind. For pickup and delivery convenience, the mattress comes neatly compressed, rolled and boxed. With its 5 year pro-rated warranty, this Phoenix 10.5 In is sure to effortlessly satisfy your every sleep need. King-Size 9-inch H Mattress with Gel Memory Foam 9-inch Tight top memory foam mattress features a high density gel foam layer on top for exceptional support, faster recovery and cooler sleeping surface for a great night's sleep. This mattress has a soft jacquard fabric cover that creates a breathable sleep surface. 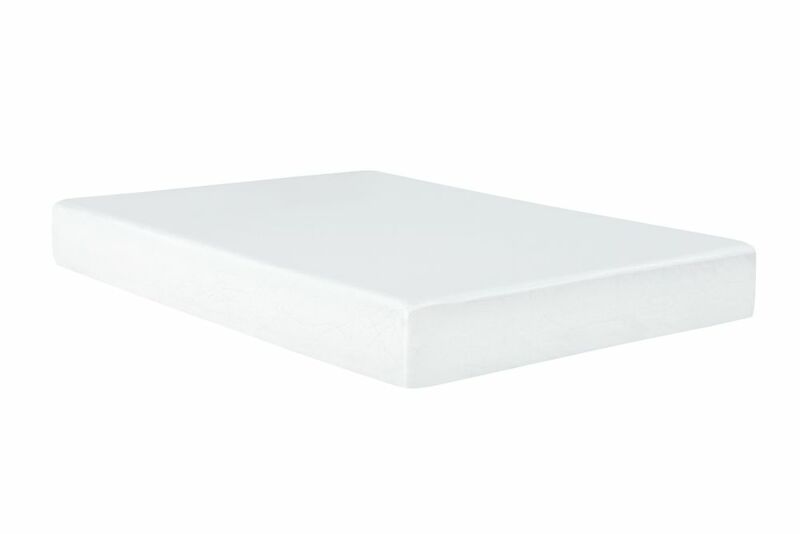 King-Size 9-inch H Mattress with Gel Memory Foam is rated 3.0 out of 5 by 2. Rated 1 out of 5 by Anonymous from Too soft I got this matteress a month ago or so. Intially in the description it was written “High desnity memory foam” and it was not even 1% of it. The moment u sleep inside u just sink into it causin lg severe body aches. Till date i have the shoulder n hand pain becoz it takea grear effort n pressure on hand to get out of the sinking matteress. It is too too soft. I forgot of rating it n today when i open the review box i read the description as different “Gel memory foam” i m so frustrated of this matteress as it sas waste of my money. Rated 5 out of 5 by Sabrina Bernes from Wonderful Love this mattress. It’s very comfortable. Easy to move around didn’t take too long to fully expland.